Chuck Payne with a nice Chinook, caught on a Silver Horde spoon. 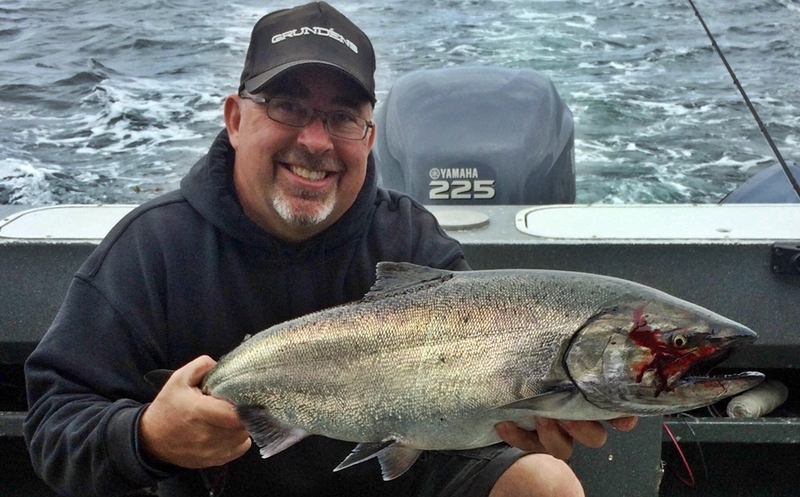 Fishing for hatchery clipped Chinook has been pretty fair in the San Juan Islands. Crabbing is open on selective days now too. Setting the pots and going out for limits of Kings is a good way to spend some family time and get some groceries. August 1st goes to retention of unclipped Kings, and we know there are some out there. The weather has been great, and it’s a great time to get out on the water! Well it is over ! The lucky anglers who made it out did fairly well for the one week Area 9 opener. Bryce got his father out and scored two nice Kings off of Possession using the tailwagger combination on Cookies N Crème spoons. Now we wait until the big ocean silvers start to arrive in Area 9. Time to tie up some Ace Hi Flies and Hootchies! 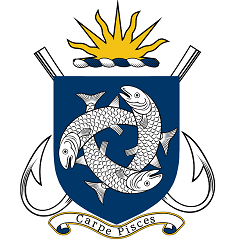 Report submitted Nelson “Spud” Goodsell – Salmon for Soldiers, IGFA Life Member, FISHTALE2. There will be no crabbing this summer in MA 11 or 13. Point Defiance Marina has rental boats and motors and launch and overnight moorage facilities with pump out stations and shore power. In addition, we have storage space for boats up to 17 feet as well as kayak storage. We have many items for those seeking gifts as well as gift cards. For more information call 253-404-3960. Hours are 5 am to 9 pm 7 days a week currently. Salmon fishing has been GOOD in East Sooke. The hot spots lately have been the Bedford Islands and inside the bay near Aldridge Point. Most of the fish reported have been from 10 – 16 pounds. The best depths off Aldridge Point were 60’ – 85’ and fishing close to the bottom off the Bedfords. There was a 23-pound Hatchery reported off of Aldridge Point. The majority of anglers are using spoons with Silver Horde Coho Killers and Gibbs Skinny G’s in green/glow and green/silver colours the favorites. Anchovies have also been working well lately with Bloody Nose a good teaser head choice. The Gibbs Highliner Guide Series flasher in Outfitters, Madi, and Lemon Lime have been working well over the last few weeks. 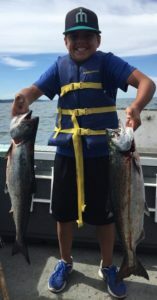 Salmon fishing has been SPOTTY in Oak Bay this past week. Each day was different depending on the currents so be sure to check your tide book when looking to get out for the best times. One day may be great while the next day may be slower. Anglers have reported that the Flats have been a good area to fish this past week. There have been a lot of smaller bait fish throughout Oak Bay, so using small anchovies in Mint Pearl Glow or Bloody Nose teaser heads has been working well. When trolling, troll faster than usual to stay away from the Dog Fish that have been showing up. Fishing the bottom in 90’ – 110’ of water has been the most productive lately. On average, Salmon have been ranging from 9 – 14 pounds in size. If fishing with anchovies doesn’t suit you, using squirt hoochies in UV or Glow have been a good option, as the fish are feeding on small bait fish. Jigging with Point Wilsons Darts or Stingers in Chrome and Green colours have also been working well lately in Oak Bay as well. 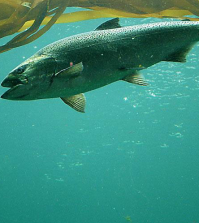 Pedder Bay has reported salmon fishing to be GOOD over the last week. Fishing the Can, trolling or jigging, has been working well in Pedder Bay. There have been reports of Salmon weighing in in the mid-teens with the odd one over 20 pounds. The best depths to fish in Pedder Bay have been 60’ – 90’ of water fishing the bottom. The Salmon are feeding on Needlefish close to the bottom; therefore, when the tides allow, jigging has been a great option. Good jigs to try are the Gibbs 3 oz Minnows or 4 oz P-Line Jigs in green colours. When trolling, anglers have found that squirts in Purple Haze or UV White and Gibbs Coho Killers in Silver or Glow have been producing the best. Another good choice would be to use small anchovies in UV teaser heads. Flashers that have been working well in Pedder Bay include the Gibbs Guide Series Outfitters and Madi. Sidney has been SPOTTY fishing for Salmon this past week. The most productive areas to fish for Salmon in Sidney are Hamley Point and Coal Island. Fishing the bottom in 80’ – 120’ of water seems to be working the best in Sidney as the Salmon are feeding on Needlefish close to the bottom. A nice Spring was caught off Coal island this weekend by Nick Noble who was fishing a Chrome and Gold Coho Killer trolled behind a light green flasher at 120’. 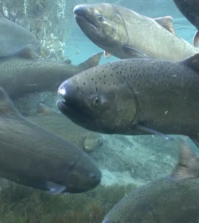 The average range for Salmon has been 10 – 20 pounds. 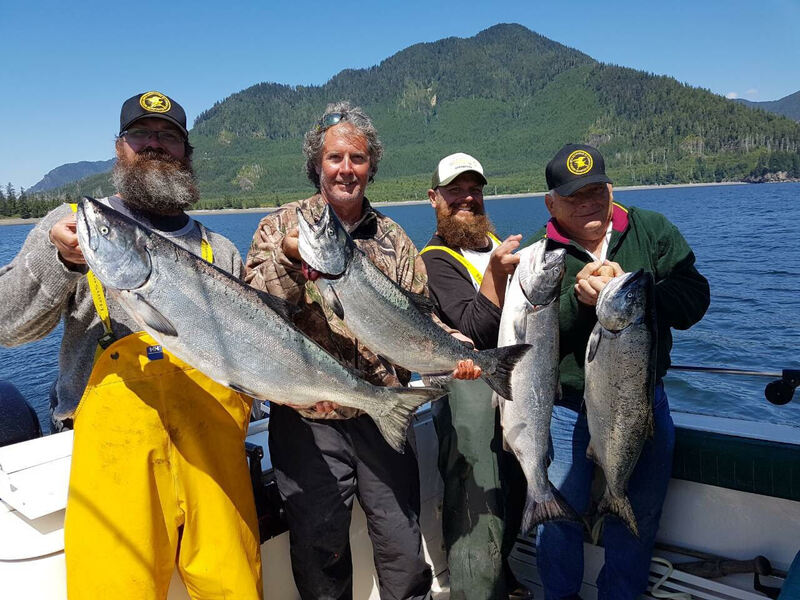 Anglers that have been fishing with spoons found that AP Sandlance spoons, Silver Horde Coho Killers and Gibbs Needle G spoons productive this past week. Suggested colours are Kitchen Sink and Irish Cream. The Salmon fishing has been GOOD this past week in Sooke. Anglers have reported having to weed through the smaller fish to find the larger ones. The most productive spot this week has been Beechy Head to Otter Point with the Trap Shack also producing well. Anglers have been fishing a large depth range, between 40’ – 80’ in water depths from 60’ – 100’. There have been reports of fish sizing into the mid-teens with a few oversized into the twenties being released as well. 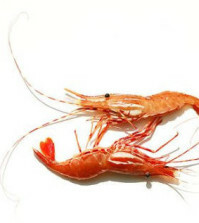 If you are looking to target Bottom Fish or Crab, Sooke is a great place to go. Anglers have been successful catching Salmon trolling with small anchovies in Peanut Butter or Green Strip UV teaser heads. If you would rather fish spoons, the Gibbs Skinny G’s in Irish Cream or Herring Aid have been producing well trolled behind the Gibbs Guide Series flasher in Madi or Bon Chovi colours. The past few weeks has been a great time to be fishing Esperanza. Chinook fishing has been very consistent. Offshore is producing fish on a daily basis. Yesterday we had 15 Chinook to the side of the boat before noon! Most fish are in the 15-25 pound range with a few larger ones in the mix. The best depths have been from 150-180 feet. We a were getting fish as shallow as 50 feet though. The Yamashita large white terd and brown terd along with the 5 inch Bon Chovy G force spoon have been our top lures. The 602 glow and bloody nose Rys Davis teaser heads have the best offshore colors if using bait. Green and Purple Moon Jelly/glow and mirror combination OKI big Shooter flashers have been working great. On the beach, the no bananas and herring aid skinny G’s along with bait have been producing the most fish. 22-30 feet are the best depths to be trying in the morning, and some days by the afternoon the fish will be down as low as 50 feet. Pin Rock and Rosa have been the best spots the last few days. Halibut fishing remains good in all the regular places. The whale tail has been exceptional for smaller fish.Salmon bellies are the best bait at the moment if anchoring. We have been trolling up a lot of our fish lately. The brown and white terds are great to drag on the bottom for halibut and ling cod. We are sold out for 2018 and are already over 50% sold out for 2019, so give me a call anytime to discuss your next great fishing adventure. 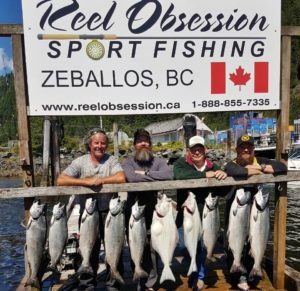 Report submitted by Adrian O’Connor, Reel Obsession Sport Fishing (1-888-855-7335 | adrian@reelobsession.ca). The cover image of this week’s fishing reports was also contributed by Adrian.